Tubal ligation is a birth control method for women who have decided they don't want more children, or for women who would prefer not to conceive. This procedure cuts or blocks the fallopian tubes to prevent sperm from traveling along them, as well as stopping the egg from traveling from the ovary to the uterus. It's a permanent birth control solution that makes a woman sterile. In most cases, tubal ligation doesn't cause hormonal imbalance because it doesn't remove the ovaries. However, some women may suffer side effects from this procedure. 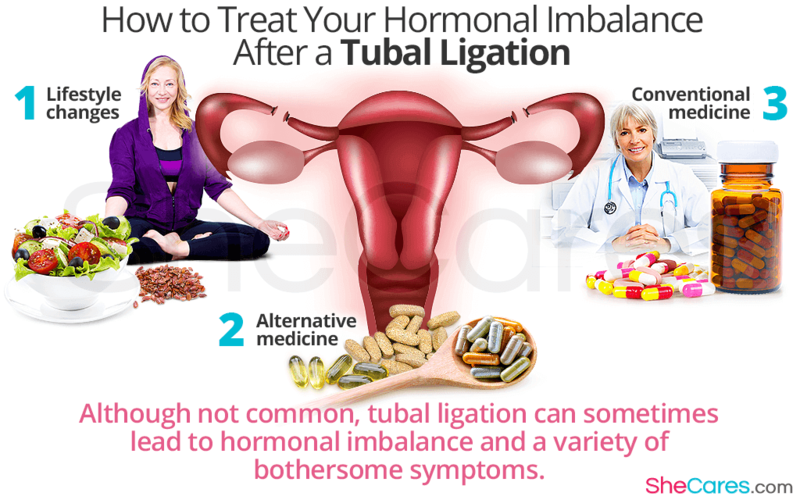 Tubal ligation can occasionally lead to post tubal ligation syndrome (PTLS), which results in hormonal imbalance. Keep reading to learn how to treat this syndrome. Estrogen, progesterone, and testosterone all play an important role in regulating the systems in the body. If the production of these hormones is disturbed, the whole body can be affected. Most of the symptoms that occur with post tubal ligation syndrome are similar to the ones that arise during perimenopause. These include hot flashes, vaginal dryness, fatigue, and mood swings. Before you choose a treatment for PTLS, make sure you consult your doctor to determine whether you are actually suffering from post tubal ligation syndrome, or if you are indeed entering menopause instead. The symptoms are very similar, and they can often be confused. It is important to rule out menopause as a cause of your hormonal imbalance first. Estrogen can often be consumed to reduce the severity or frequency of post tubal ligation syndrome, and restore hormonal balance. Restore estrogen levels by eating phytoestrogenic foods, such as flaxseed, yams, black cohosh, and soy products. However, before taking any natural products, you should always consult your doctor. Your doctor may prescribe birth control pills when suffering from post tubal ligation syndrome, because they contain synthetic hormones that may help balance hormone levels, and help you with post tubal ligation syndrome. However, some cases of PTLS can be attributed to side effects of treatments for hormonal contraception. A progesterone and/or estrogen cream can often reduce the severity or frequency of post tubal ligation syndrome, because once it is absorbed into the skin it begins to restore hormonal balance. Keeping your normal hormonal levels is critical for your body's optimum health. Potential side effects can include headaches, breast pain, and skin irritation. For some women, the solution may be a tubal ligation reversal. This major surgical procedure involves unclamping, reattaching, or unblocking the fallopian tubes. Not everyone will qualify for this option; it depends on factors such as age, health of fallopian tubes, and the initial type of tubal ligation procedure undertaken. 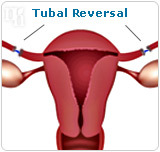 Most women who undergo the reversal procedure find that their post tubal ligation syndrome disappears after surgery. Women who suffer from post tubal ligation syndrome have estrogen and progesterone imbalance. To find out more about these hormones and how to restore their balance, click on the following link to read more about treatments for hormonal imbalance.